Abraham Lincoln was born 206 years ago today. 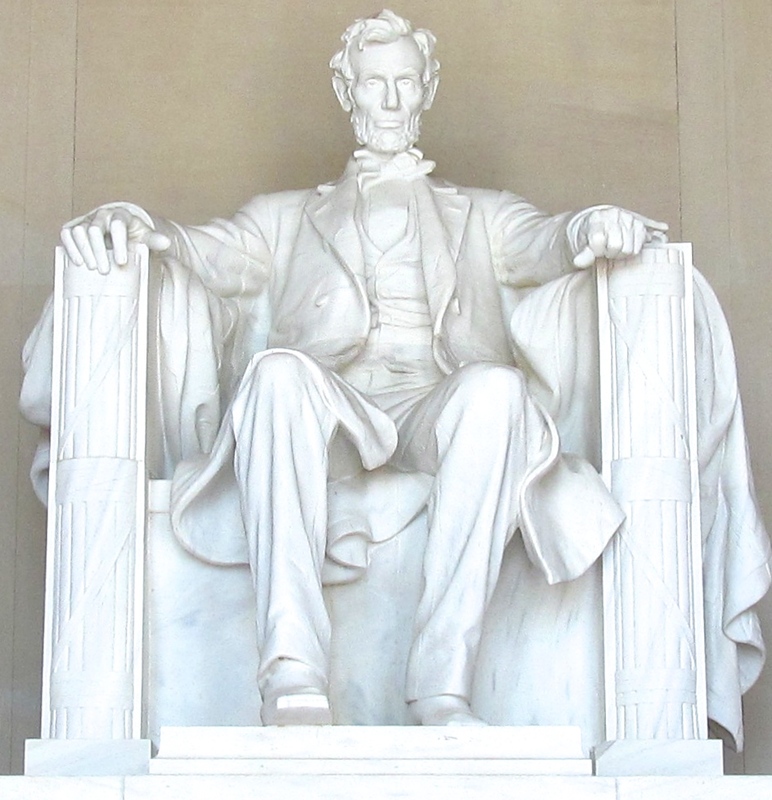 Enshrined as our greatest president, he spent his three-decade political career writing and speaking about the framers’ intention, four score and seven years later. 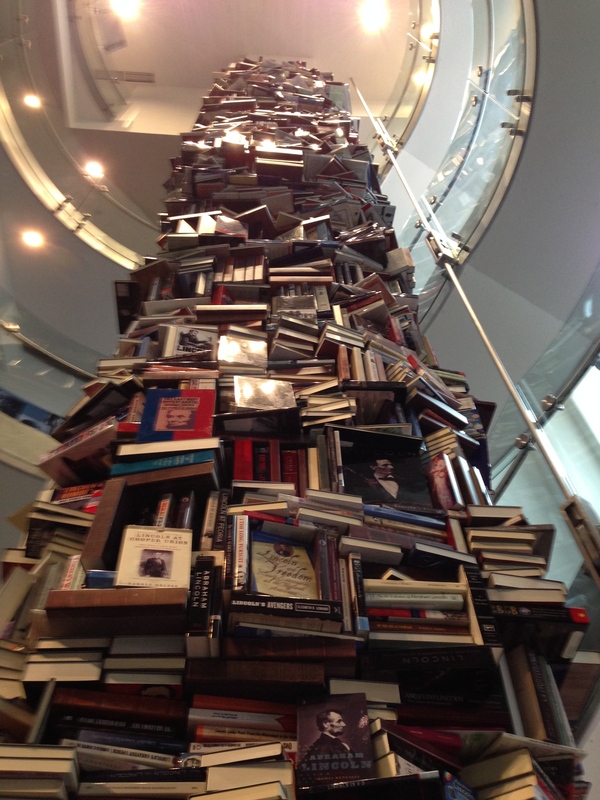 This week I visited the Ford’s Theatre Lincoln Center, which several years ago installed an aluminum sculpture representing 6,800 of the more than 15,000 books that have been written about the 16th president. A plaque in front of the 34-foot tower notes that the last word will never be written, because each generation reinterprets the man and his time in light of its own. To me, Lincoln transformed the union from a collection of states into a nation, rededicated to the proposition that all men are created equal. His leadership led to the 13th Amendment in his lifetime and the 14th and 15th soon after, all three repairing flaws in the original. The 1860 Republican Party platform advocated federally supported infrastructure, including a nationwide postal service, “river and harbor improvements,” and a transcontinental railroad (our version of the Internet, airports, highways, mass transit). In myriad ways, assisted by the technological revolution that accompanied the Civil War, Lincoln expanded the reach of government. To execute a social compact – which is whatever we decide it is. We inherit the agreement and alter it, radically (in Lincoln’s time) or incrementally (perhaps, or perhaps not, in ours). We were born in – or immigrated to – a country under capitalism, “an economic system characterized by private or corporate ownership of capital goods, by investments that are determined by private decision, and by prices, production, and the distribution of goods that are determined mainly by competition in a free market” (Miriam-Webster). That is to say, private enterprise fosters the creation of wealth for its creators. In that respect, it has been a fantastic success, and it has resulted in goods and services our grandparents could not have imagined. In the first 2012 presidential debate, moderator Jim Lehrer asked the candidates to describe the “fundamental difference” between their views of the government’s mission. President Obama said that its first role “is to keep the American people safe.” He added that it “has the capacity to help open up opportunity and create . . . frameworks where the American people can succeed. He continued, “But we also believe in maintaining for individuals the right to pursue their dreams and not to have the government substitute itself for the rights of free individuals. And what we’re seeing right now is, in my view, a trickle-down government approach, which has government thinking it can do a better job than free people pursuing their dreams. And it’s not working.” As evidence he cited unemployment and poverty statistics. Our government establishes a social compact under law, rather than under whim. The elements include: enforcing contracts and rules of commerce, and performing functions that are intrinsically public (because they are unprofitable or potentially pervert the public interest if performed by private parties). Among those functions are policing, waging war, providing universal education, owning infrastructure, and maintaining a social safety net. They also would agree that over two-and-a-half centuries, as commercial instruments and society generally have become more complicated and nuanced, so too have our laws. Their complexity reflects the balancing of competing interests. Inspired by Rachel Carson’s Silent Spring and other reports of environmental degradation, we resolved to curtail this “externality” of profitable production. 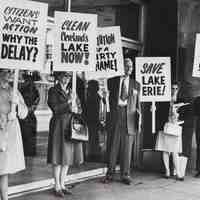 Four decades later, the battle intensifies over who pays for pollution – all those affected (downwind, downstream, and the general population), or the private interests (and their customers) that create it. The regulatory process itself has no right or wrong. One person’s “excessive regulation” is another’s justified response. There are pressure points: the president; the EPA, through the public-comment process; the courts, which weigh whether the agency has acted lawfully (the Supreme Court has repeatedly upheld EPA’s authority to regulate greenhouse gasses); and Congress, which oversees the agency and controls its purse. Right now, Obama is pursuing an agenda, and congressional Republicans aim to stop him. We, acting as citizens, decide what’s right and wrong and ultimately control the result. We are all “values” voters. One hundred fifty years ago, we decided slavery was wrong and elected a president who was determined to save the union and, once the war was on, destroy slavery. More than 600,000 people – one in 50 of the whole population – died settling the question. Since then we have resorted to less violent means of sorting right from wrong. May we continue to do so. This entry was posted in Abraham Lincoln, U.S. Constitution and tagged Abraham Lincoln, capitalism, Congress, Declaration of Independence, EPA, free enterprise, pollution, President Nixon, President Obama, Republican Party, slavery, social compact, U.S. Constitution, White House. Bookmark the permalink. The sum total of human knowledge appears and is accessible on the www.